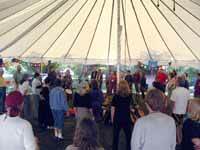 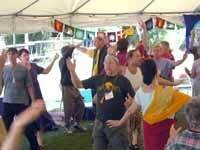 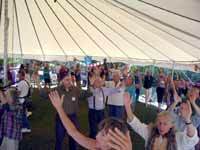 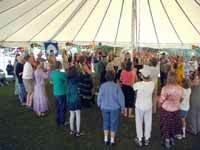 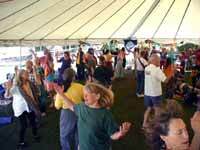 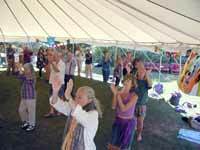 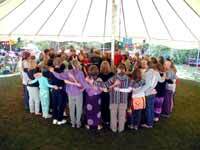 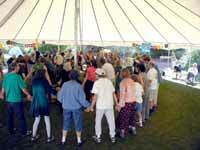 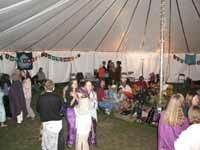 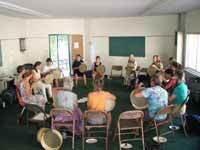 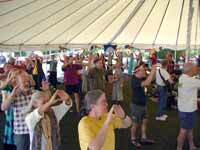 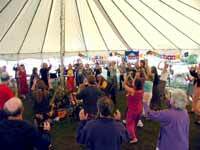 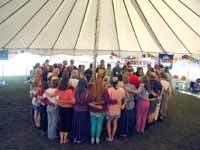 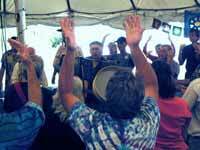 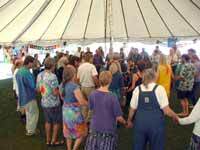 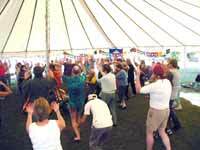 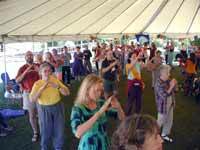 The Wilderness Dance Camp is a week-long dance celebration sponsored by the ONEness Project. 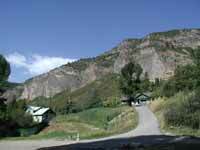 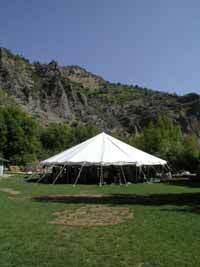 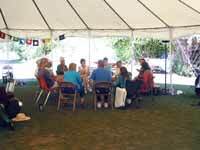 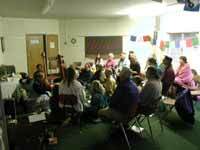 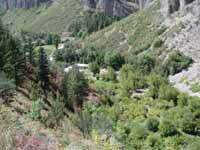 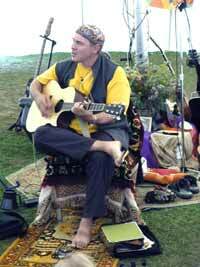 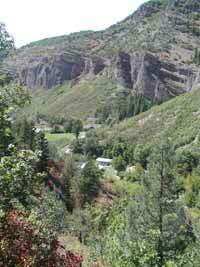 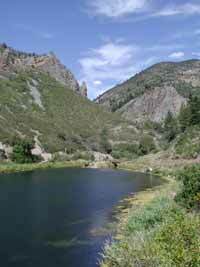 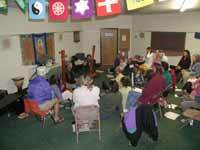 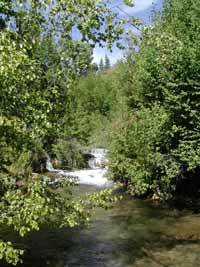 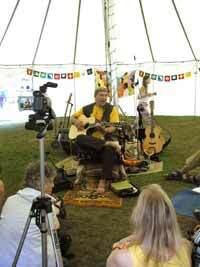 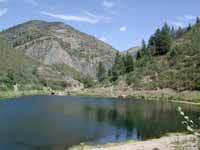 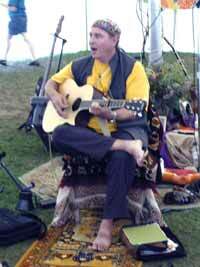 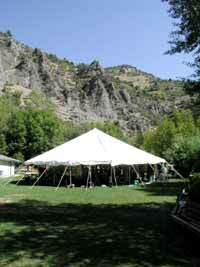 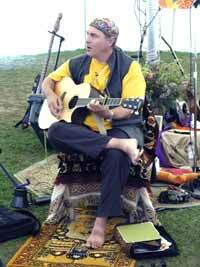 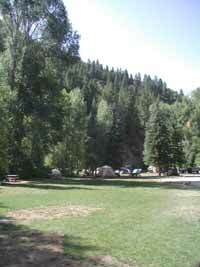 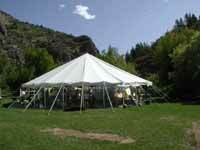 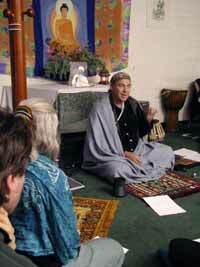 In August of 2002, it was held at Camp Kiesel in the magnificent foothills just east of Ogden, Utah. 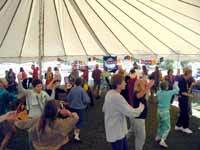 Downloading directly to your hard drive: To download the songs directly to your hard-drive so that you can play them without being connected to the internet, point your mouse at the song title, and click with the RIGHT mouse button, then store the song in a folder that you can easily access it to play it later. 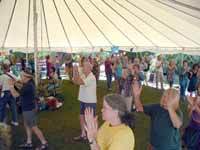 After the song is downloaded to your computer, you can either go to that folder and click on the song title to play it, or you can start your music player and browse to find the desired songs and add them to your playlist. 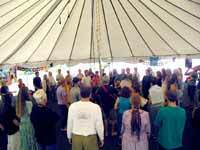 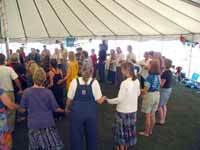 The Oneness Project has produced a new collection of Dances of Universal Peace recorded at Wilderness Dance Camp in years 2001-2003. 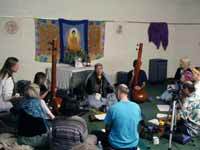 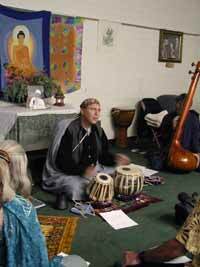 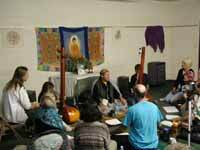 This music explores the spirit of devotion, from the deeply meditative to the ecstatic. 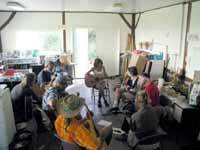 Features musicians Talia Marcus, violin and Shabda Kahn, guitar. 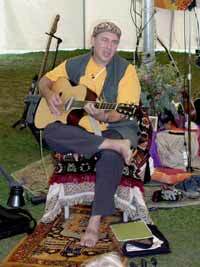 Tracks include: Bismillah Round, Ek Ong Kar, Shem'a Yisrael, Be A Lamp Unto Yourself, Fourth Beatitude, Ecstatic Zikr, Shante Prashante, Om Nama Shiva, Om Tare Tutare Ture Soha, and Return to Love.